6 Pairs in one collection. 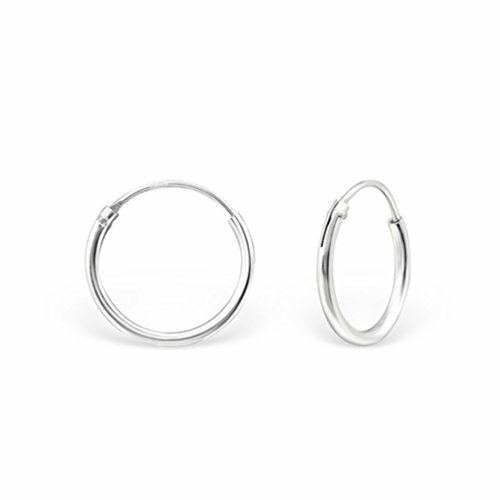 Measure(inner diameter): 3mm/4mm/5mm/6mm/7mm/8mm(0.11/0.15/0.2/0.24/0.27/0.3in); 1cm(0.4in) nail. 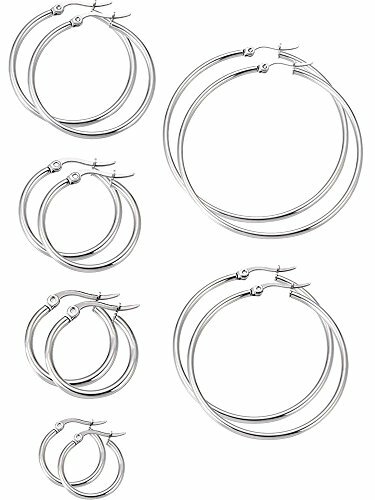 With 925 sterling silver earrings’ nails, hypoallergenic properties of earrings will not cause allergies despite how long you wear them. Best quality Cubic Zircon absolutely as beautiful as natural. 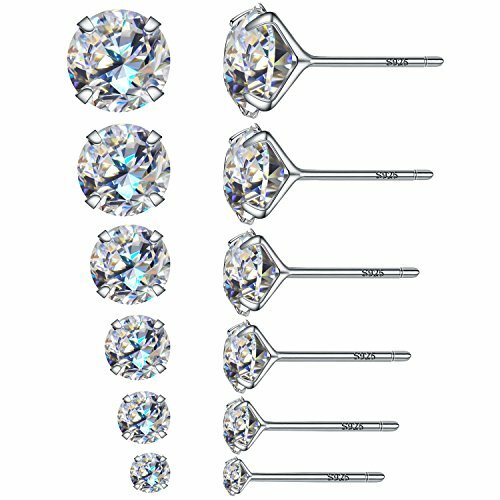 These flawless Zircon Earrings truly highlight the beautiful center stone with its unique design. 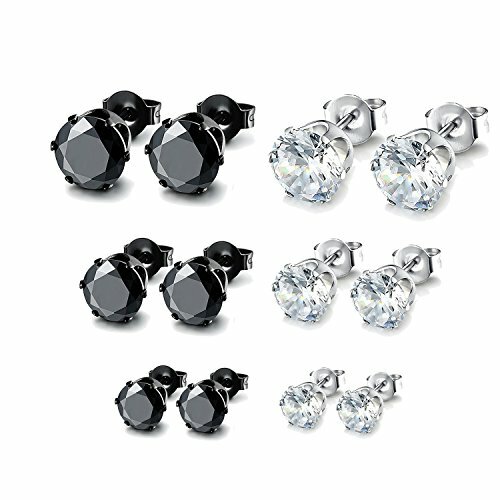 Cubic Zircon is a precious material cherished throughout history for its beauty, durability and timelessness. 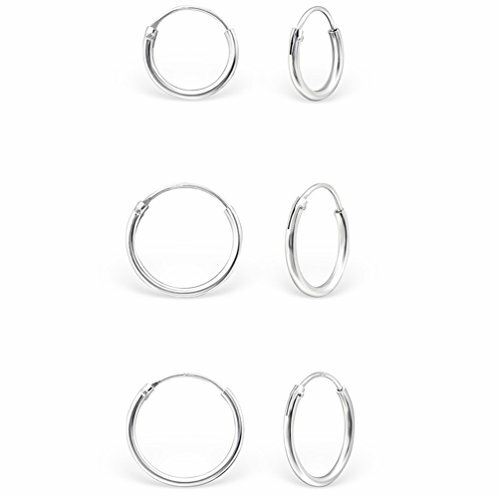 Maximum elegance and versatility is combined in these striking Earrings. The proper maintenance ensures to wear years still bright as new. 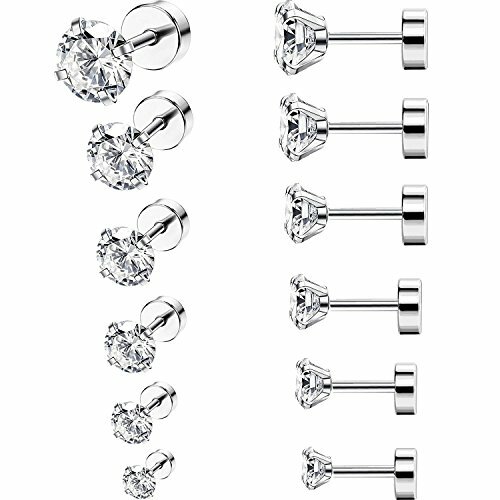 925 STERLING SILVER CUBIC ZIRCONIA CZ ROUND 4MM STUD EARRINGS. UNISEX. BRAND NEW & BOXED. GENUINE – 925 Sterling Silver mounting post and butterfly back – Stamped ‘925’ on the butterfly back to confirm authenticity. 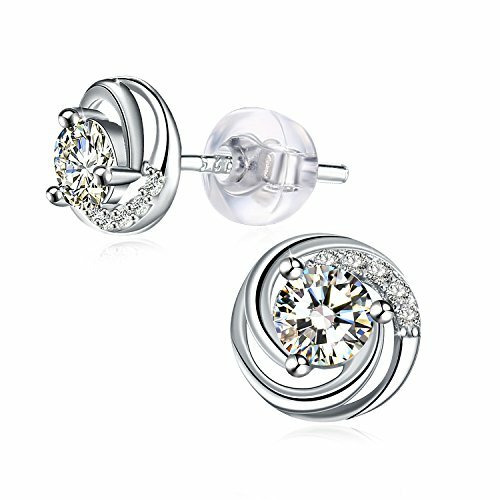 ♥Material: Earrings in 925 Sterling Silver with sparkling Aurore Boreale Crystal. Guaranteed to sparkle and glitter in any light, eco-friendly vacuum plating,nickel-free,lead-free,and cadmium-free. 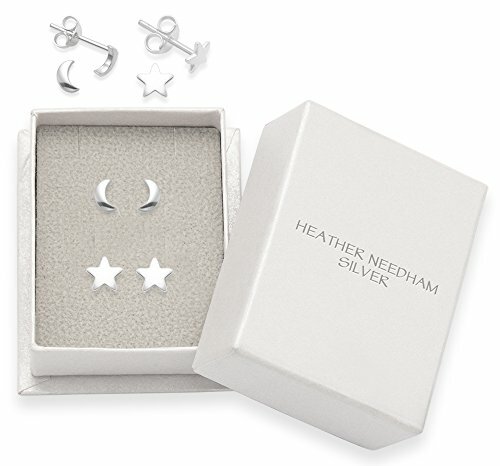 ♥Ideal Gift: The Women Earrings package with a delicate box,Ideal Gift for Valentine’s Day, Wedding Anniversary,Birthday, Mothers Day, Christmas Day ,Anniversaries and so on. 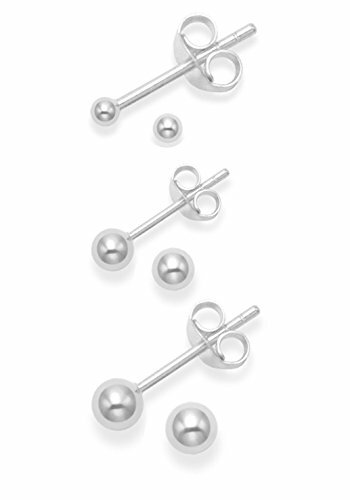 ♥Size: 8mm*8mm(0.31in *0.31in), Net Weight: 2.7g. 【Service】Order from YAMIU shop. Quick shipping service and quality assurance and lifetime warranty for any non-artificial factors. Just enjoy your purchase. ♥DESIGN CONCEPT♥ Inspired by flowers during spring and summer. 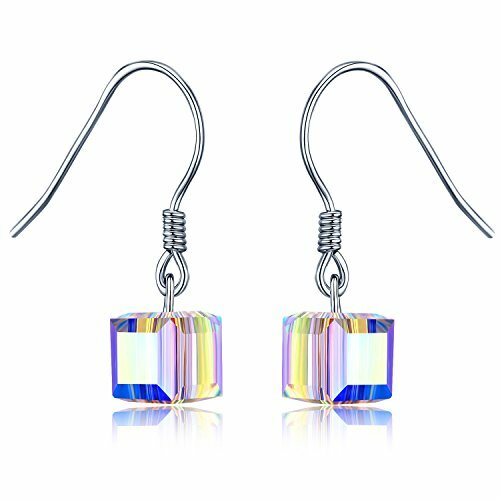 The delicate design makes earrings look more layered and the shiny zircons make your visual sensation more obvious. The best gift for her. 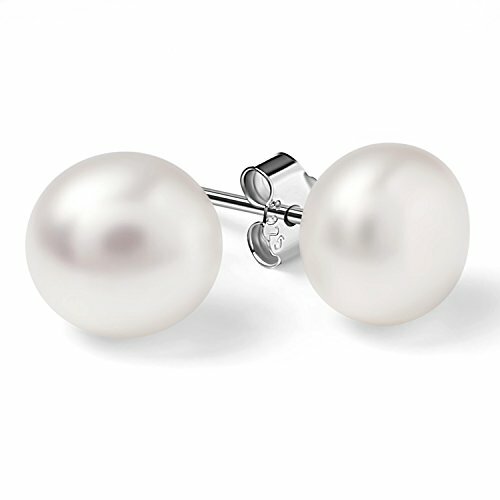 ♥PERFECT GIFT♥ Designed by fine French jewelry designers, the earring studs are produced with exquisite craft. Ideal gifts for Mother’s Day, Anniversary Day and Birthday to your girlfriend or wife. A perfect gift for yourself or someone special! ♥PRODUCT LIST♥ Comes with a fine jewelry gift box.